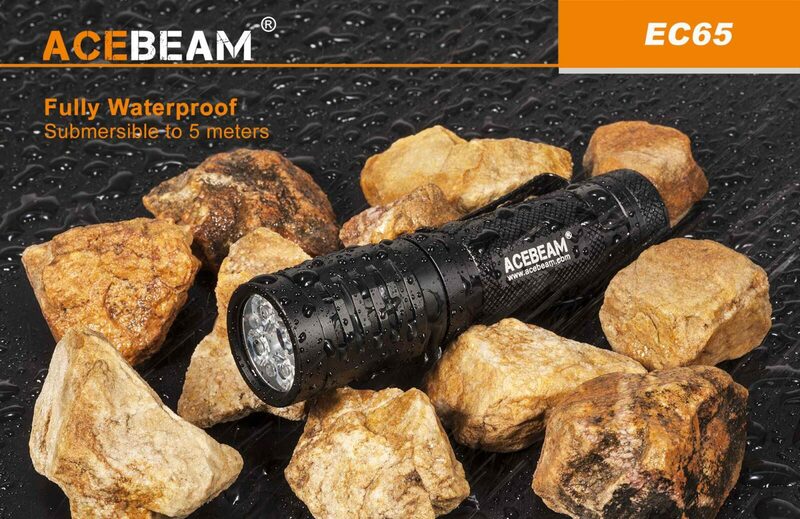 A new take on the ACEBEAM EC65 LED Flashlight, an EDC sized flashlight the utilises 4x LEDs and a TIR optical lens to provide an outstandingly versatile beam pattern that is available in 2 different models to suit a variety of users. 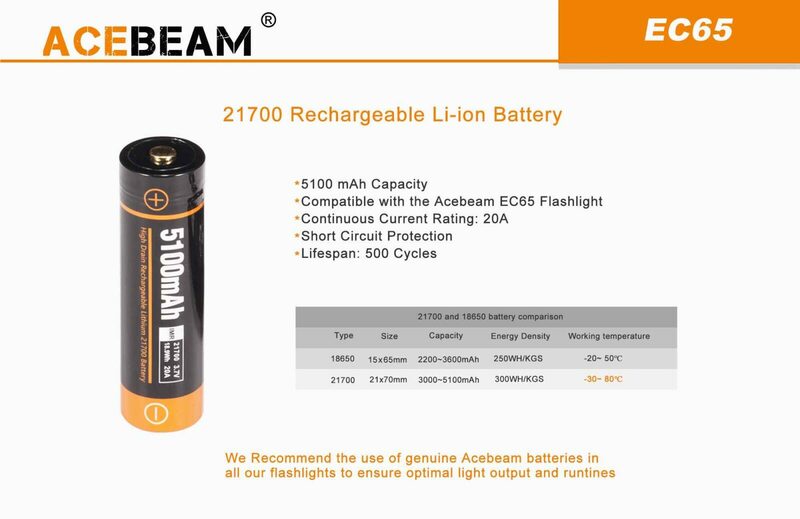 Adding to the versatility is the option to use 21700, 18650 or CR123A batteries. 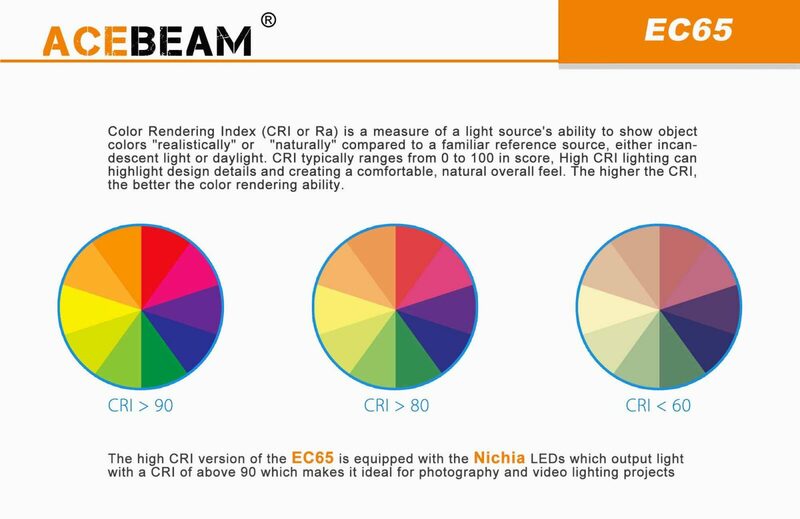 CREE – 4x XHP35 HI LEDs and a smooth TIR lens. 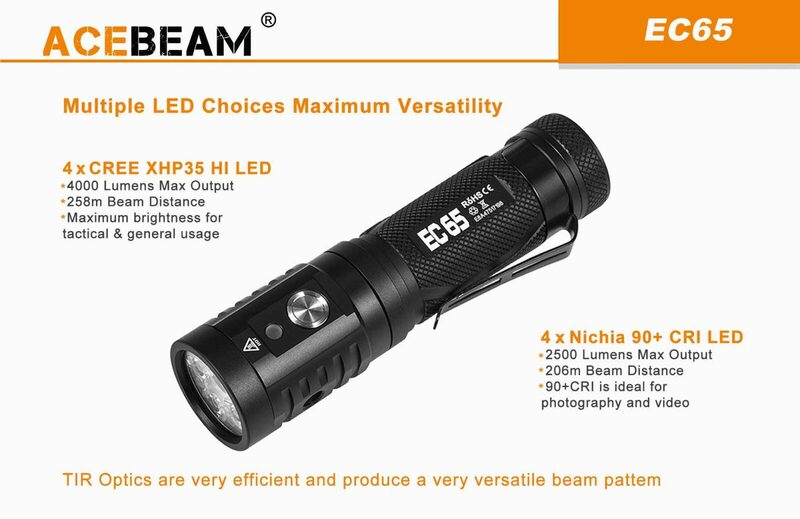 Ranging from 20 to 4000 lumens with a 258 metre beam distance. 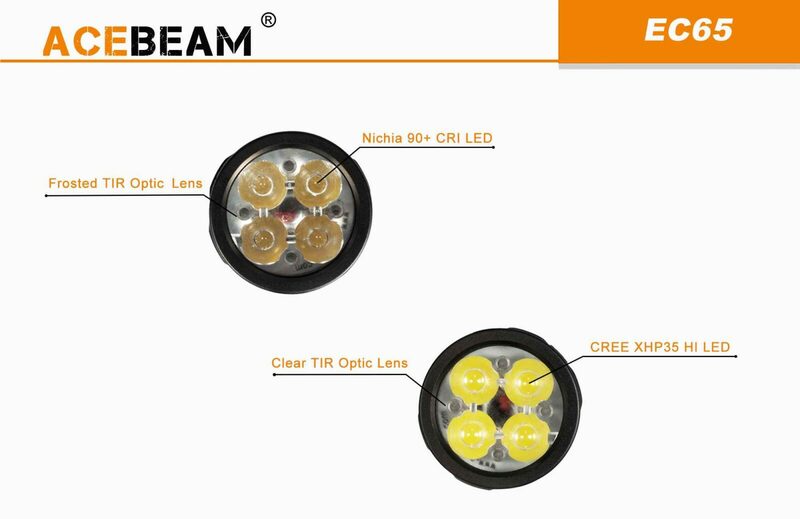 NICHIA 219C 4x CRI 90+ LEDs with an orange peel TIR lens. 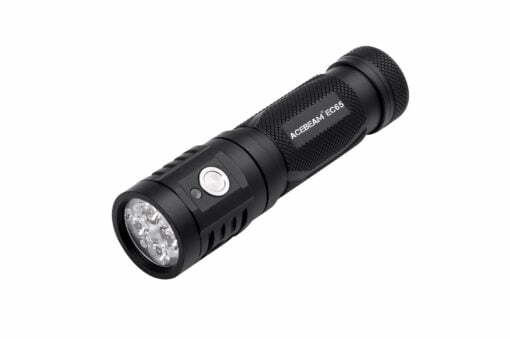 Ranging from 20 to 2500 lumens with a 206 metre beam distance. 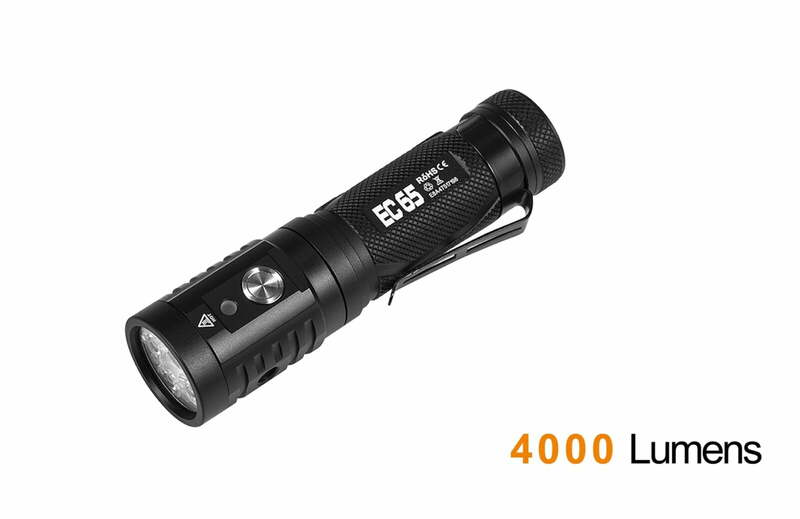 The Side switch ensures quick and easy access to all available lighting modes and the USB-C charging system means you can charge up to 3x faster than older Micro USB models. 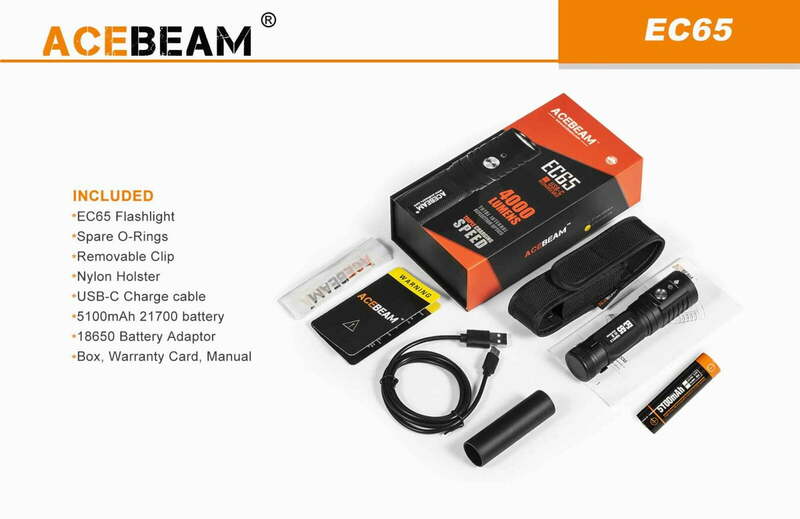 A Li-ion 21700 battery rated at 5100mAh capacity is included to provide optimal runtimes. Buy from Yowcha; EVERYTHING is included; NO extra Custom Charge; NO Extra Tax and VAT Charges! 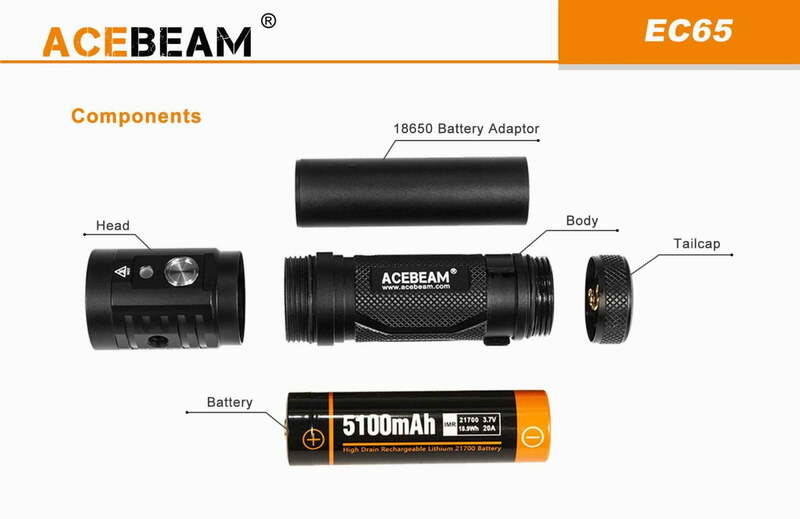 Yowcha are official UK Acebeam Dealers, so you can rest assured there is no extra Customs bill to pay when you buy from our retail store in Grimsby, Lincolnshire, UK, or when you buy online at www.yowcha.co.uk. 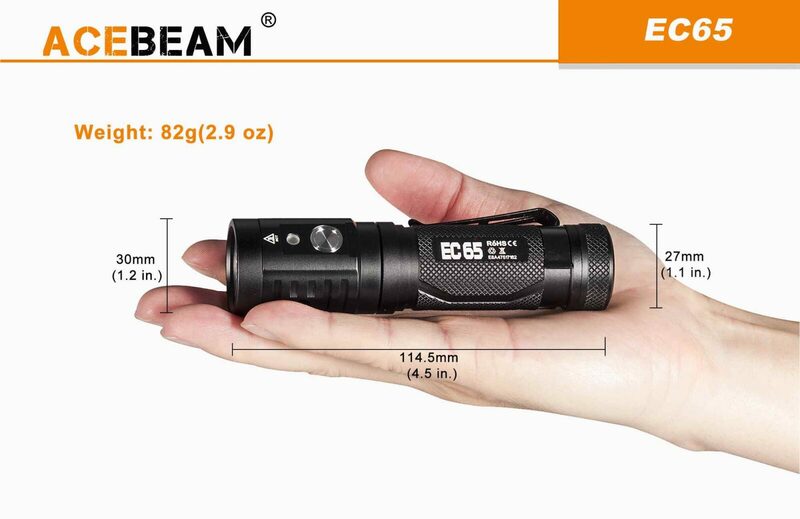 EC65 Warning: This flashlight will become extremely hot if run on turbo mode for extended periods. It is advised to regularly cycle down to a lower mode to allow for cooling. Failure to adhere to this warning may result in burns or injuries. Keep out of reach of children. 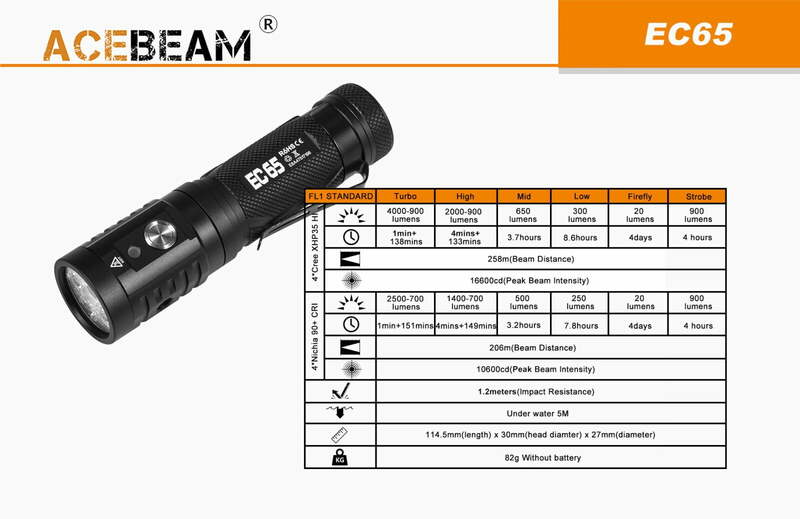 For any Questions about our ACEBEAM EC65 LED Flashlight; or for Prices on delivery to the EU please contact us. Or; why not visit our Facebook page and follow us? You can see ALL the latest info as it happens!